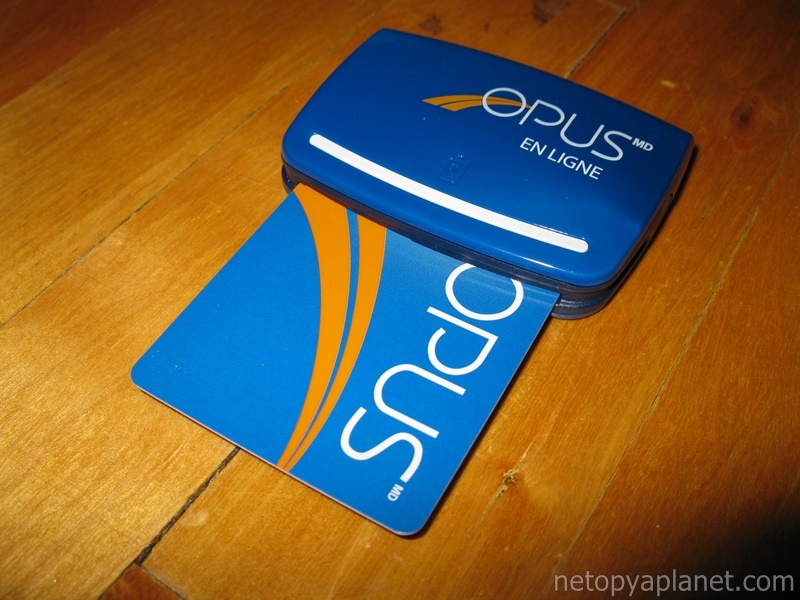 The various transport agencies in Quebec have been using the OPUS card for contactless fare verification. 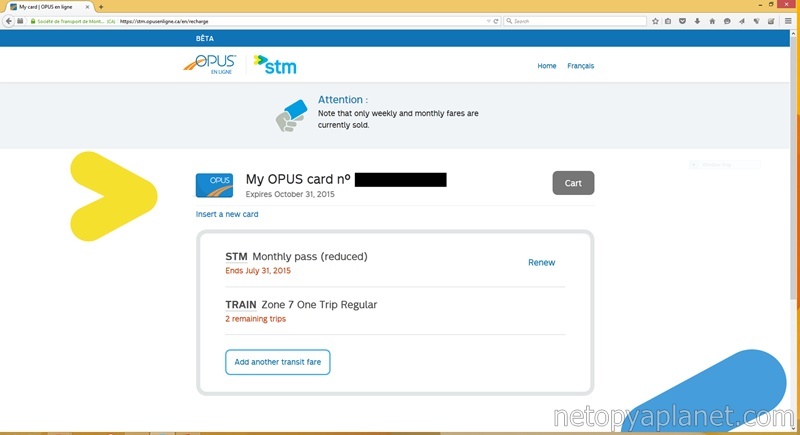 Seven years after it was released, OPUS en ligne has now been introduced and allows the purchasing of fares online through a card reader connected to your computer. I decided to get one of these required $14.49 readers and give it a spin. Does it work? Is it a trip into the technological Stone Age or will it revolutionize the way we purchase bus passes? Join me on this journey to find out! The reader arrived within one business day in packaging small enough to fit through my mail box. 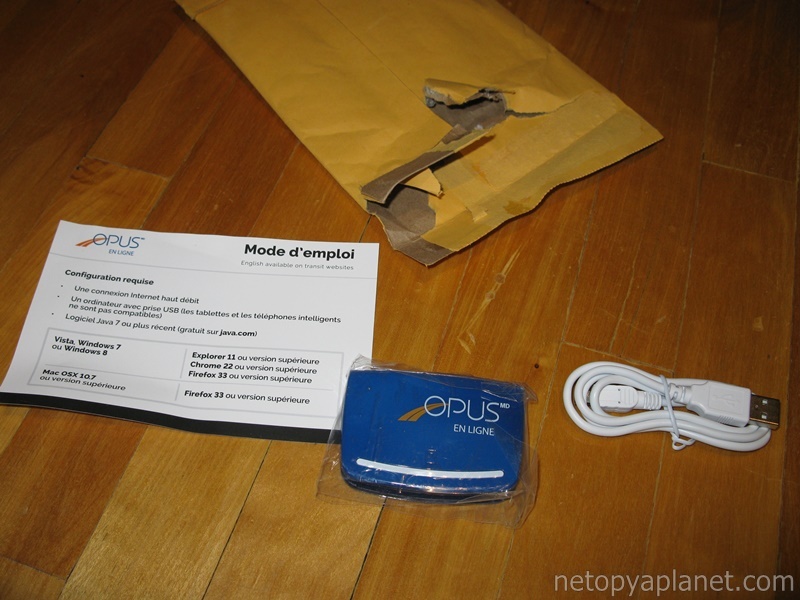 Included was the reader itself, a meter long USB Mini-B cable, and an instruction card. 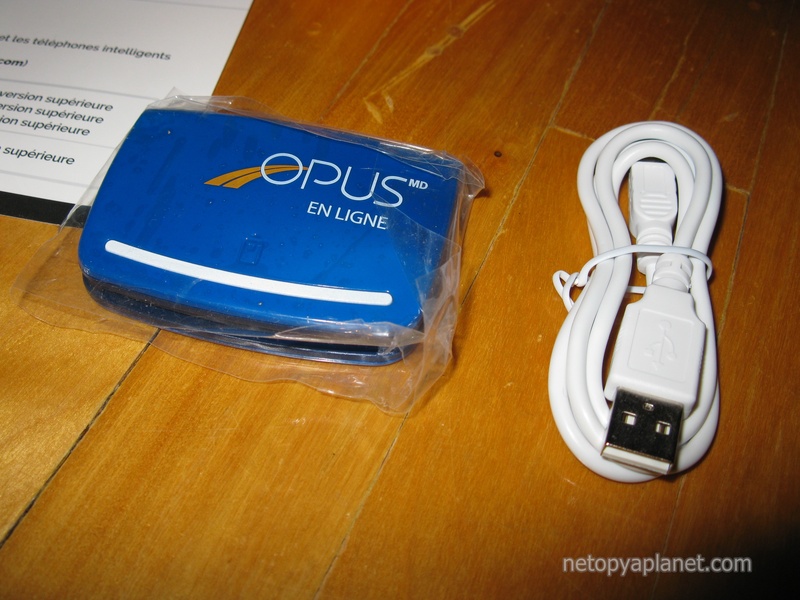 The reader is made of a cheap blue plastic with a small black accent along the sides revealing a slit to insert the OPUS card. 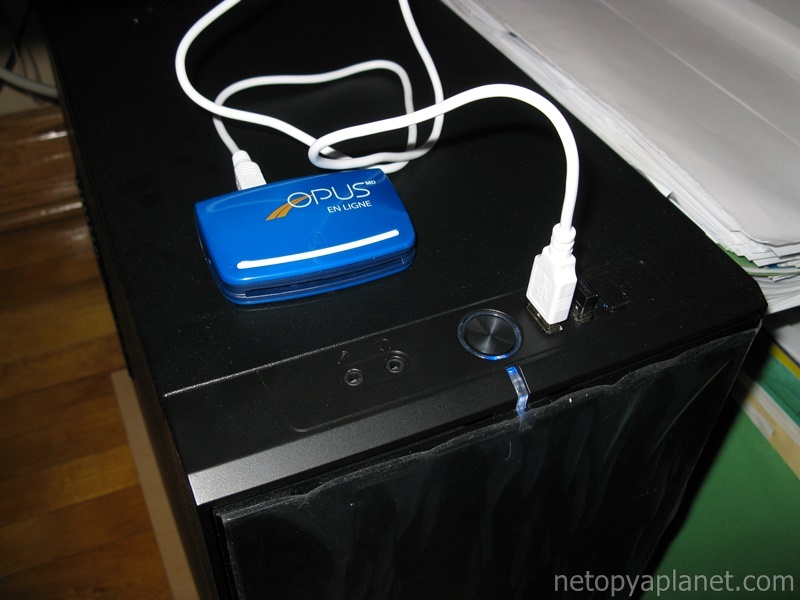 A white plastic strip hides a red power LED and a blue activity LED. 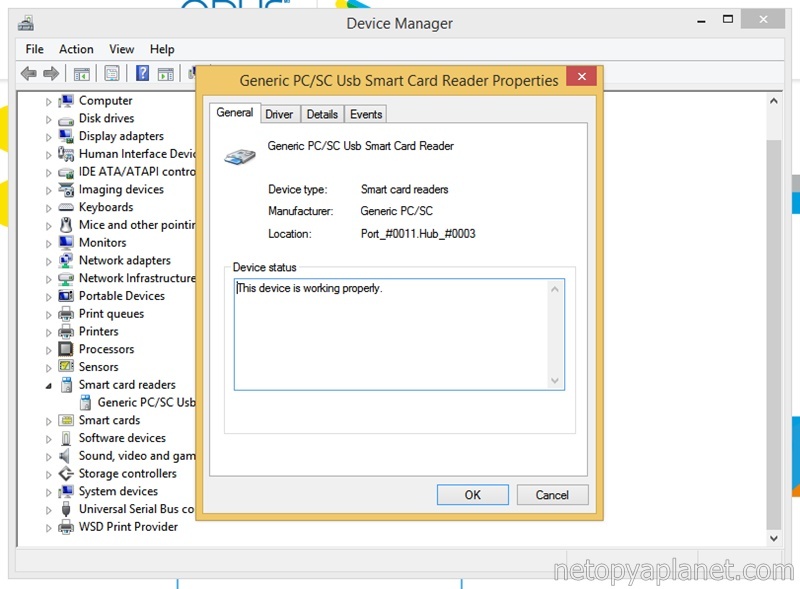 Setting up the reader was surprisingly straight forward; after plugging it into my computer it was recognized immediately without any hassle. My first experience with the reader was buying my August monthly bus pass. 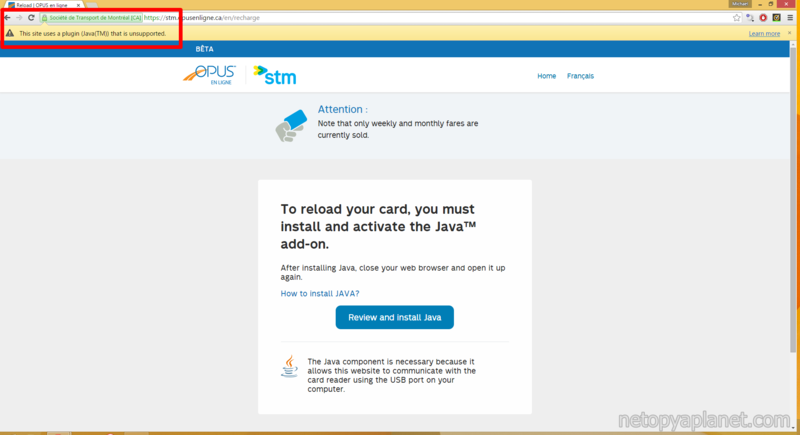 Having Java (a required software dependency) already installed and updated to the latest version, I thought I was good to go. 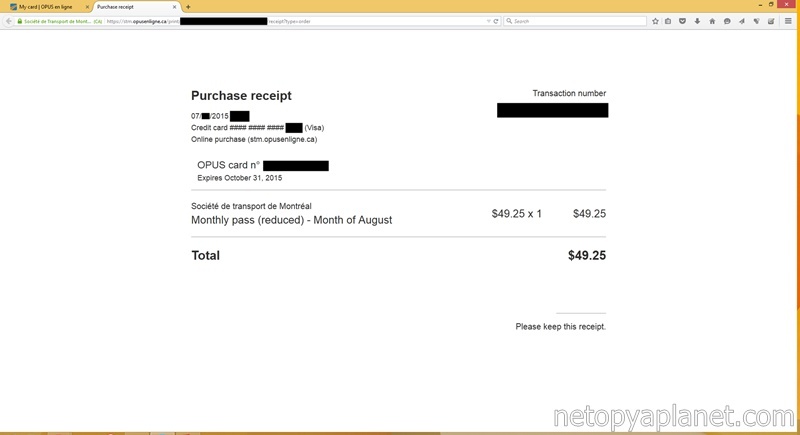 However after plugging in the reader and navigating to the site (stm.opusenligne.ca), I was immediately hit with an obstacle since my browser of choice, Google Chrome, no longer supports Java which renders their website useless. This goes against the STM's user information which claims that Chrome is supported. Unfazed, I fired up and updated my second browser of choice, Mozilla Firefox. 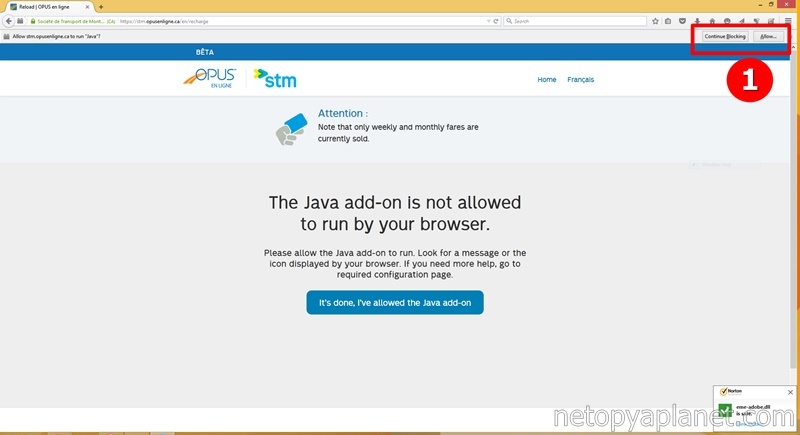 This time around Java was supported, and I had to go through three steps of authorization to allow the Java applet to run. Once the Java hurdles were out of the way, the process became much smoother. There was no need to register or create an account. 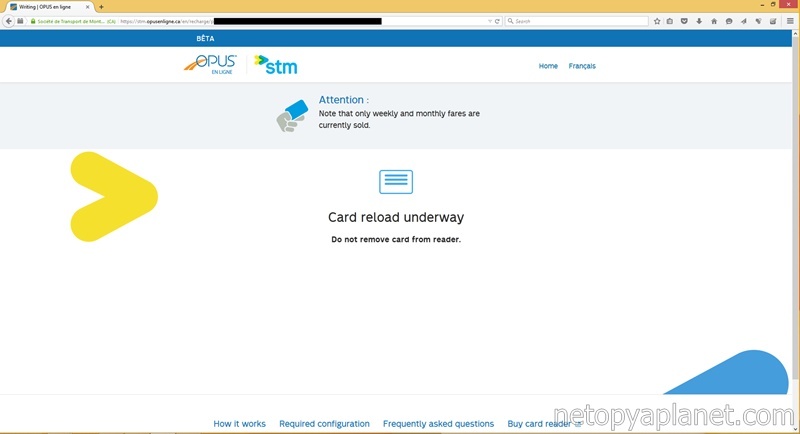 My card was immediately read and I was shown its current status with a monthly pass for the previous month and some AMT train tickets. 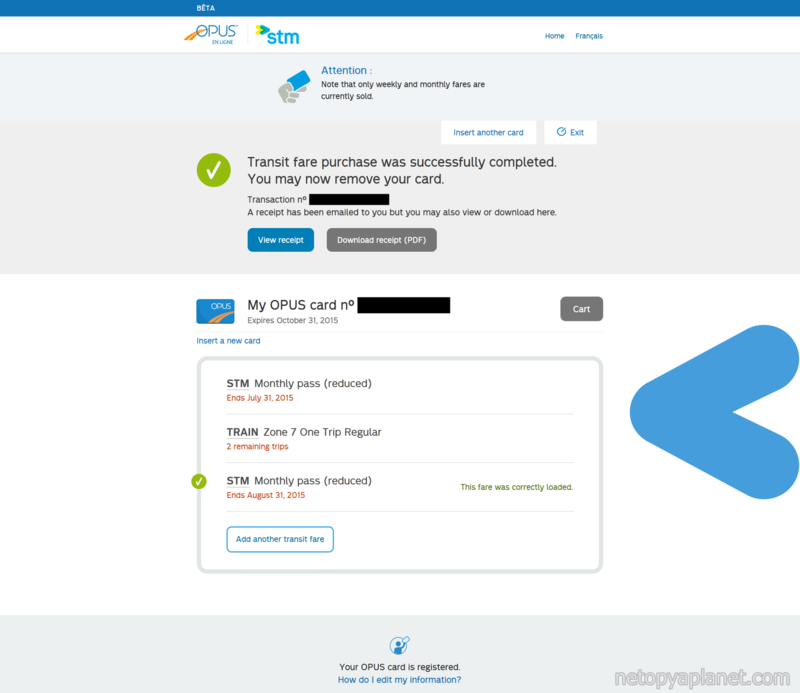 I proceeded to recharge the card and was given the option of a 4 month, 1 month, or 1 week pass. Reduced fare was automatically applied due to my student status. After selecting a monthly pass for August, I was brought to the payment screen where all I had to fill in was my name, email, and credit card information (only Visa and MasterCard are currently accepted). Then lo and behold, the payment was processed, the card was recharged, and I was given a receipt of the successful transaction. A copy of the receipt was also sent to my email which is quite useful for the income tax credit. 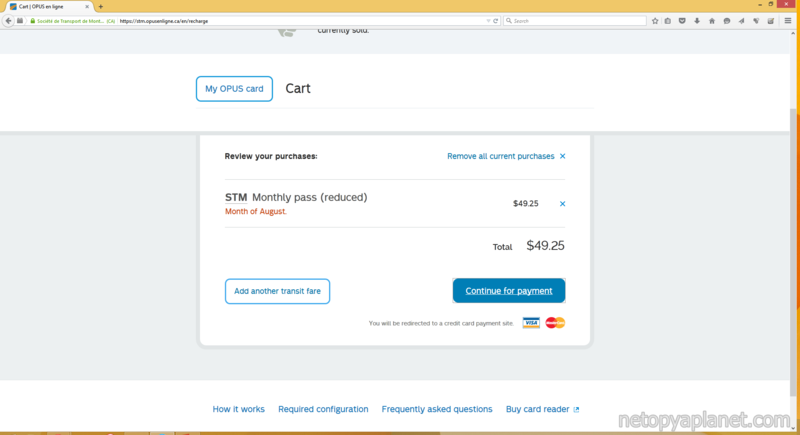 I was brought back to the landing page with my updated card and the new transit fare on it. And that's it! I'll start off by commenting on the user experience side. Java griefs aside, OPUS en ligne scores full points for an all-round pleasant online shopping experience. 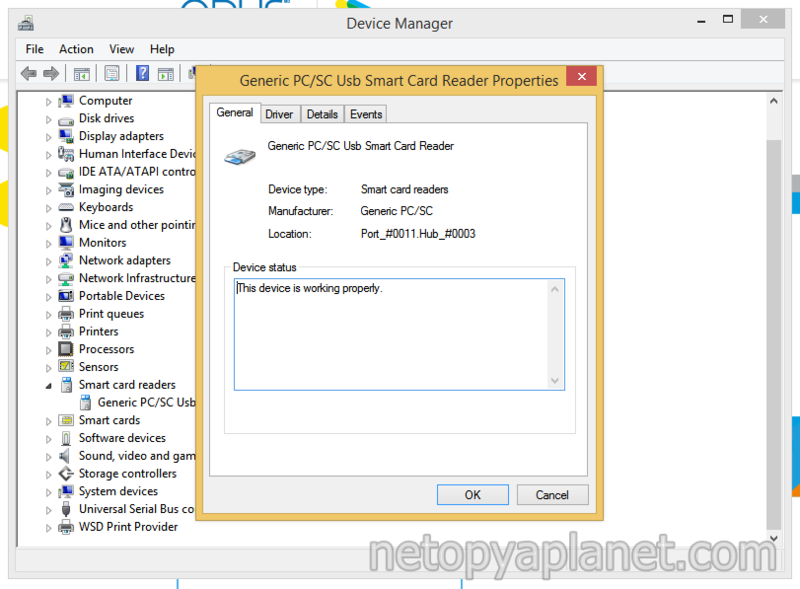 On the hardware side: the reader is satisfactory and has no connectivity issues, something that cannot be said for half of the USB devices I use. On the software side: the GUI was nice, there were no technical hiccups during the purchase, and the entire process was short and down to business. It was much appreciated that creating some sort of account was not required. However, having to enter in my contact and payment information was a tad on the annoying side. Although this added 15 seconds of taking out and copying my credit card may seem like a first world problem, we should understand that this reader is competing with the STM's own recharge machines that can use chip and pin payment. 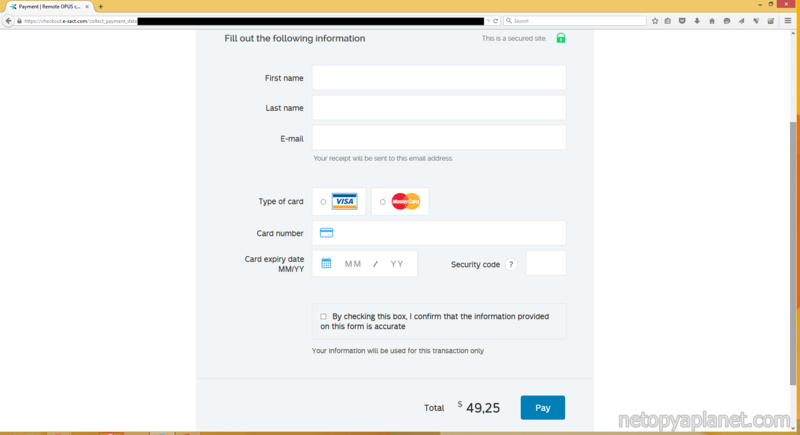 I would have been more pleased with a faster option such as PayPal's one click checkout. Although it works, the OPUS ecosystem is really outdated. This online recharge system has been in development for a couple of years and it has ironically been released just as its supporting technology is on its deathbed. When the OPUS was first introduced in 2008, it was an acceptable decision to store fares on a physical card. At the time, smartphones were still taking baby steps and who would want to gamble on the innovations they promised to introduce to the tech world. However come the early 2010's, everyone has a smartphone and everything is connect to the internet, to the "cloud." Any reasoning for ignoring this incredible advancement in technology is beyond me. OPUS should have evolved accordingly and moved the fares from the card to the cloud, with the card now only acting as a link to your online account. 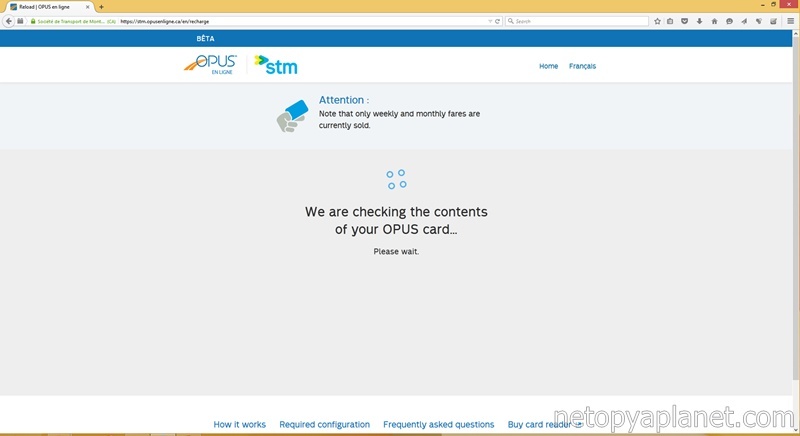 You would even be able to substitute the card for a smartphone since all that is now required is your OPUS number. Furthermore, there would be no need to interface your computer or smartphone with any special hardware since they are already connected to the internet. To put the final nail in the coffin, browser plugin technologies such as Java are currently being shunned by the tech industry. 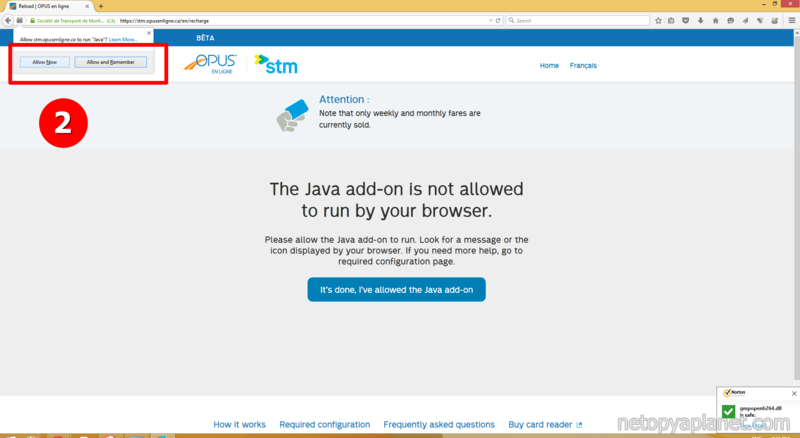 As mentioned before, even though the OPUS reader was designed to work with Google Chrome, Google has decided to no longer support Java. With Microsoft strongly encouraging adoption of Windows 10 with a free upgrade, OPUS loses another browser as Microsoft Edge (which replaced Internet Explorer) has decided not to support archaic Java. 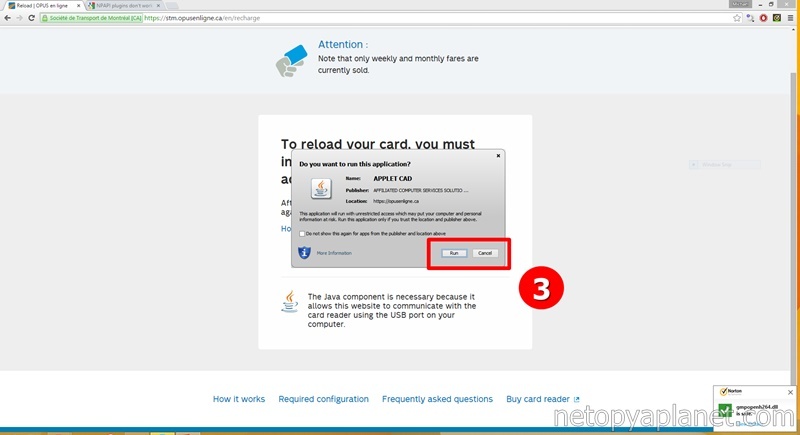 This leaves the only working option to be Mozilla Firefox. However, with Firefox recently disabling a version of Adobe's plugin Flash, it's not inconceivable to see the axe fall on Java as well. I would normally now suggests how to circumvent this demise, but I don't want to give Quebec transport agencies any ideas. The real solution is to tear system down, a decision that should have been made years ago. 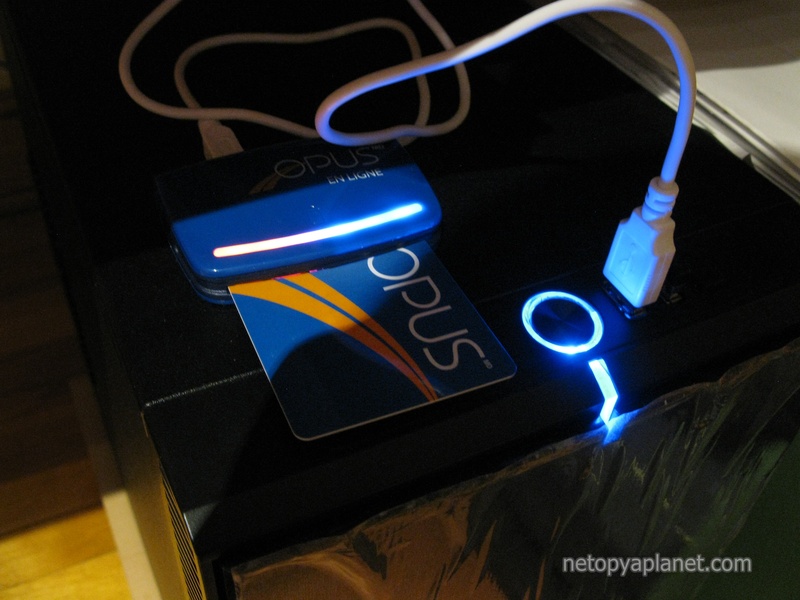 The OPUS card reader is simple and it works. If I miss buying fares along the route of my daily commute, I'll probably use this at home in place of walking down the street to the dépanneur. However I don't think it's worth $14.49. Between the hardware setup, Java woes, and the convenience of other options (like going to the Metro), the OPUS en ligne is not the solution that transit users need. Furthermore the future of this site is even more dubious. With Firefox being the last supporting browser, OPUS en ligne is going to have to reinvent itself mere weeks after being released. I love taking the bus! Hi, I just purchased a reader. After plugging it in my MacBook, it dosen't seem to work. I have Java installed as well as SmartCardPlugin. I'm not very good with computers so I would really appreciate it if you could contact me if you think you know what I'm missing here. Thanks in advance! Never worked for me. On a few different computers, Apple or other. Takes my money a few times for the same titre de transport but never gives it to me. Leaving your e-mail is optional and I will only use your e-mail to contact you if you ask for me to do so in your comment.